Master trimmer and long-time THR contributor Roy Keith Powell recently closed his shop, Roy Keith Classics, and joined the team at Drew’s Garage — moving over 1,000 miles from Hot Springs, SD, to Tempe, AZ. Curious about the big move, The Hog Ring spoke to Roy about what inspired him to embark on this new journey, what he’s doing now, and his first project with the new team: a celebrity-owned 1968 Dodge Charger. While most auto upholstery shops that close do so for financial reasons, Roy Keith Classics was thriving. 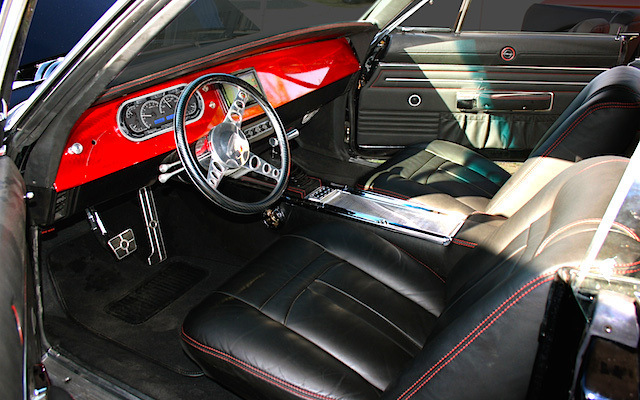 After 37 years in the industry, Roy had developed a strong reputation and was in such high demand that clients came from all over to have him restore or customize their car interiors. Nevertheless, Roy found that the responsibilities of running a small business were getting in the way of his passion for the craft. A true artisan, he wanted to spend his time being creative and working with his hands, not pushing paperwork. By leaving that part of the industry behind, Roy is now able to focus his attention on those aspects of the craft that bring him the most joy — namely designing and upholstering car interiors. What’s more, Roy and his wife had enough of the harsh climate in South Dakota. They’d always dreamed of relocating somewhere with warmer temperatures, so when Drew Tennant contacted Roy with an offer to head the new in-house upholstery department at Drew’s Garage, he jumped on the opportunity. No move is easy, but where there’s a will there’s a way. As soon as Roy agreed to join the crew at Drew’s Garage, he hit the ground running. 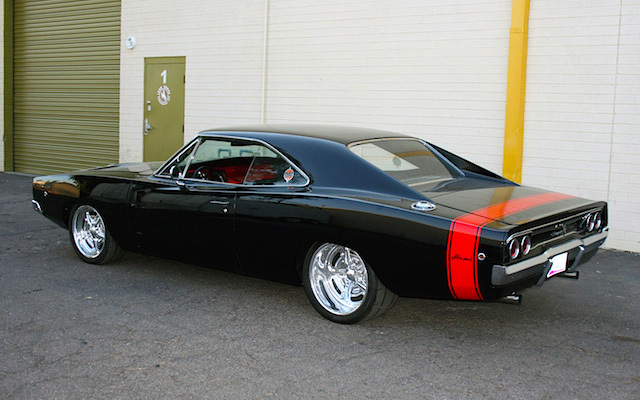 One of his first projects was to create a one-off interior for a custom 1968 Dodge Charger owned by Larry Fitzgerald, wide receiver for the Arizona Cardinals. Roy blew the footballer away with his eye for design and excellent craftsmanship. Among the modifications he made, Roy re-shaped the Charger’s seat foam for a sportier look and feel, and even added reclining mechanisms. 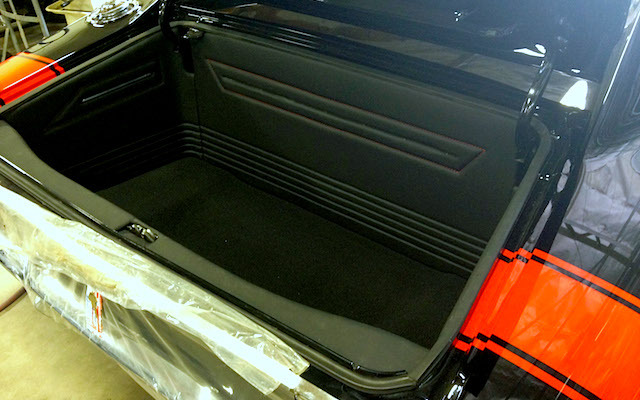 He then trimmed the entire cabin and trunk in black leather with red contrast stitching. Since The Hog Ring was founded in 2011, Roy has been an invaluable member of our community — always willing to share his knowledge and experience with fellow trimmers, as well as to lend a hand. In fact, he once got me out of a jam at my shop. 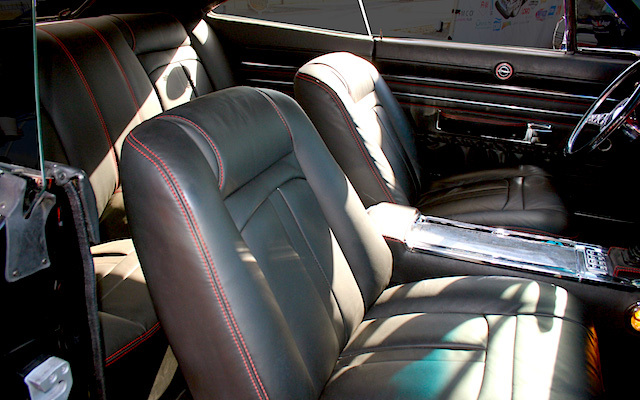 For the life of me, I couldn’t find the OEM parts I needed to finish a customer’s old T-Bird, and took to The Hog Ring’s “Auto Upholstery Forum” to voice my frustration. After reading what I wrote, Roy went down to his local parts yard, pulled the pieces I needed and shipped them to my shop. It was totally unexpected, and I will be forever grateful. Believe me when I say, Roy is an exceptionally talented auto trimmer and a real class act. On behalf of The Hog Ring, I wish him great luck and success in all his endeavors. To see more of Roy’s work, follow Drew’s Garage on Facebook.